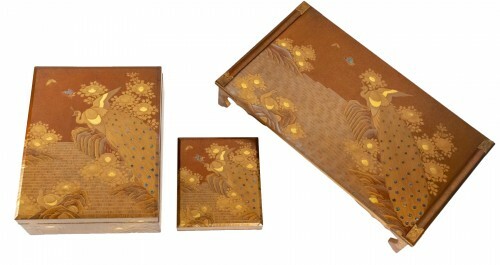 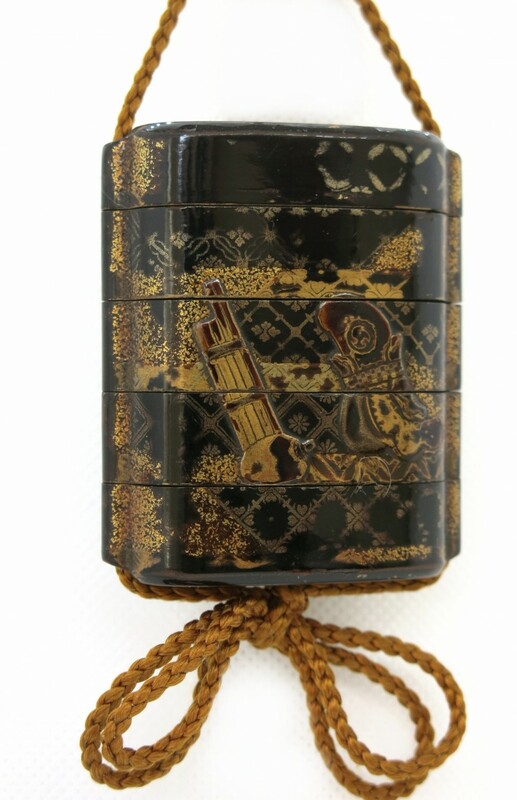 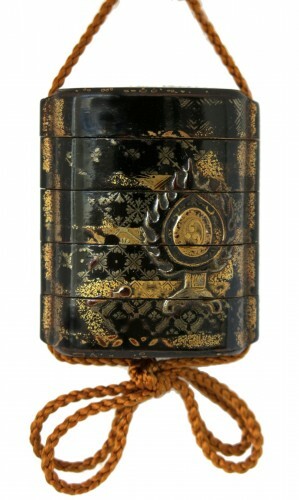 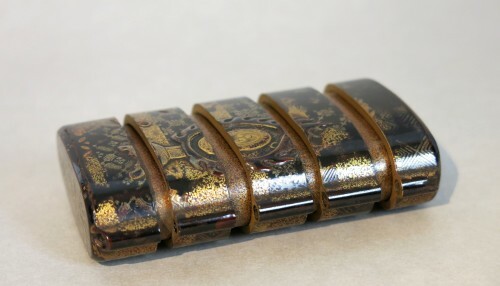 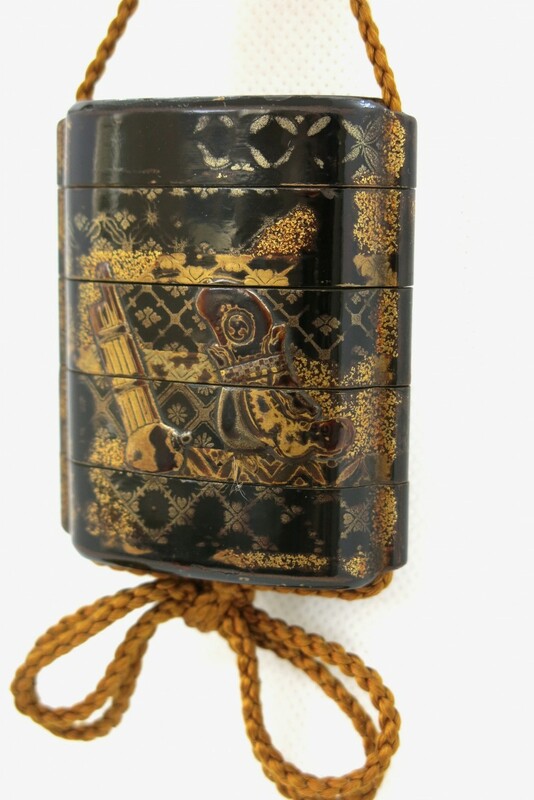 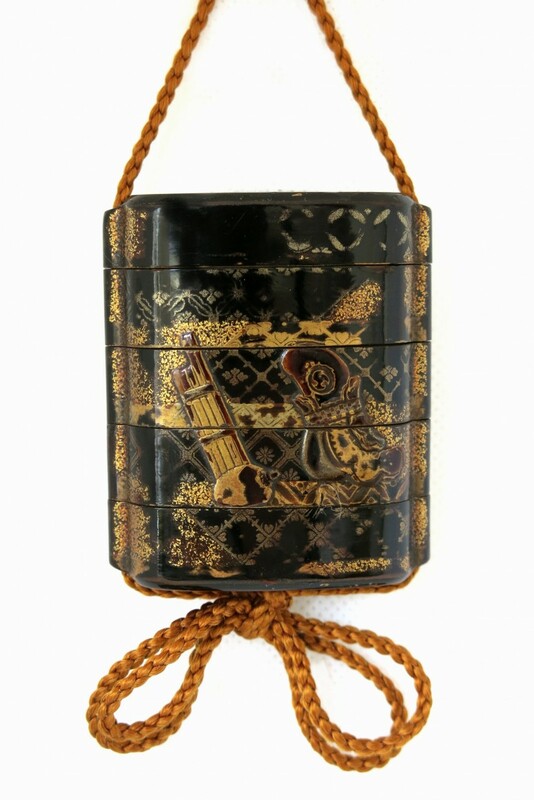 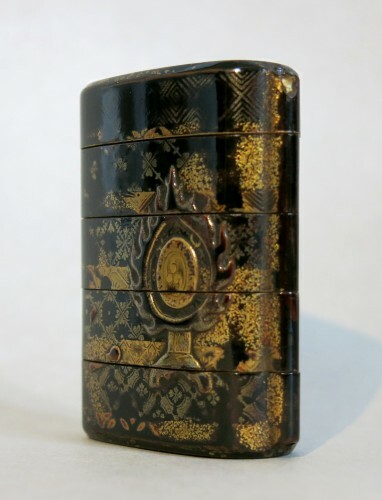 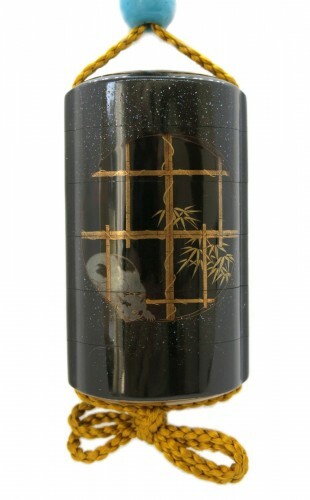 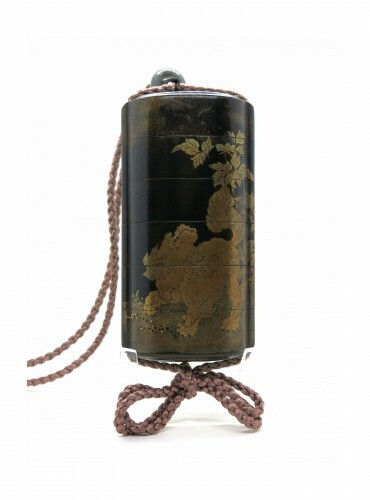 Inro Japanese urushi black, brown and gold lacquers, opened by 4 cases. The inro is showing musical instruments and boast a drum Dadaiko with the flame drum Kaendaiko, of the kind played in Bugaku court music and dance theater. 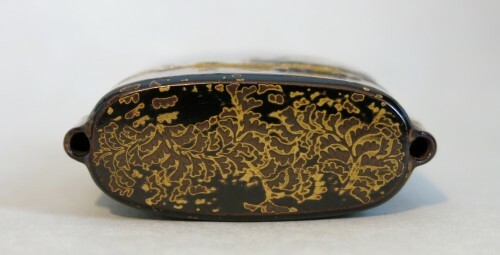 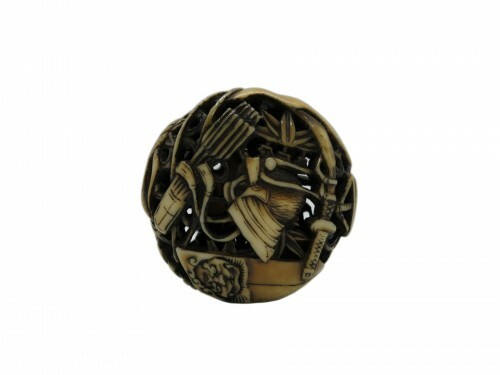 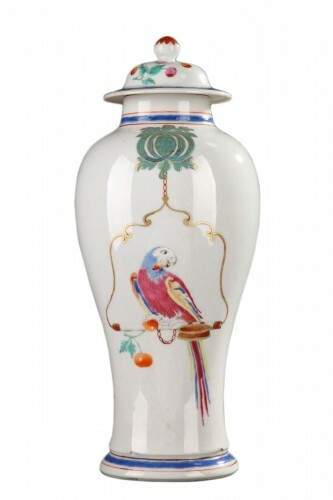 The background is showing many geometric patterns with a beautiful patina. 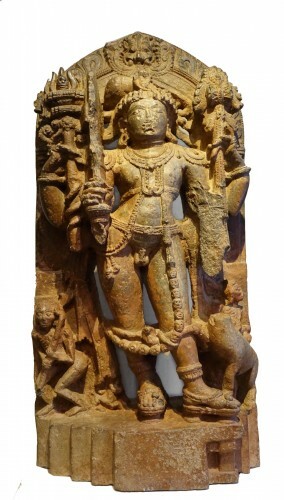 Height : 2,44 inches. 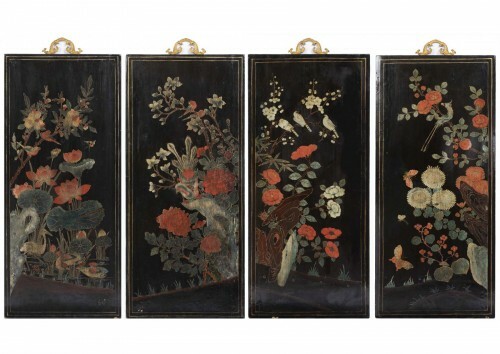 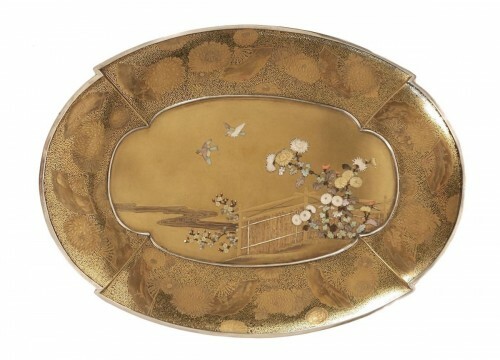 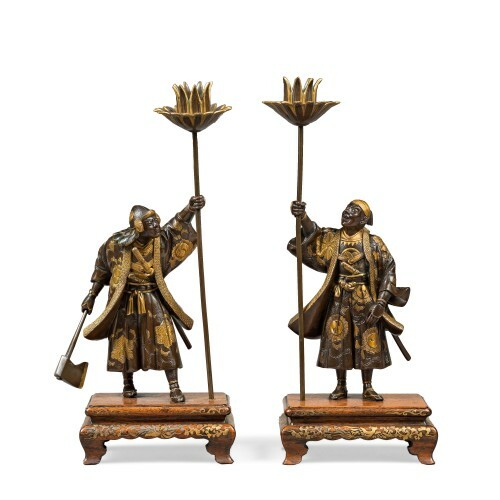 Japan EDO (1603-1868) End of 17th century.